This glove features Reinforced backhand support system for consistent wrist position, Unique gripping compound increases feel for added control, Spandex fabric finger gussets and glove back molds to your hand, Supreme ventilation helps keep hands sweat-free and dry, and an Elastic wrist wrap for increased support of tendons. Lightweight but good support. Stays cool so no problems with moisture. 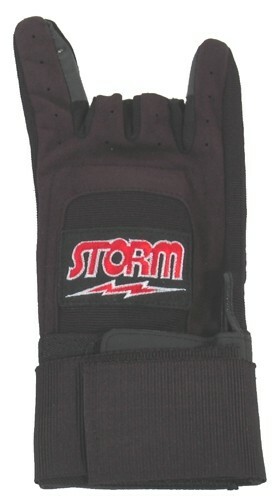 Due to the time it takes to produce the Storm Xtra Grip Glove Plus Black LH ball it will ship in immediately. We cannot ship this ball outside the United States.